Now you can download SoftAmbulance Free Eraser with our quality and support! 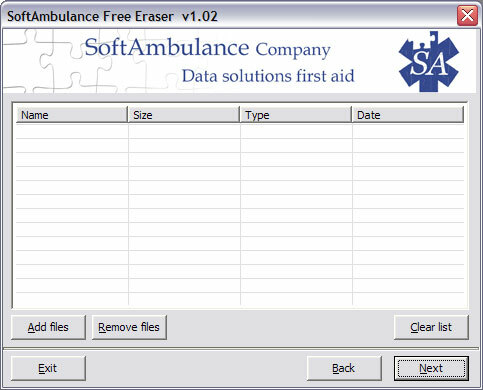 SoftAmbulance Free Eraser is a program for completely and irrevocably files erase. Program erases files, but not directories. After using SoftAmbulance any uneraser will recover only filenames. No other data will be recovered! We advice to use it before selling your computer, before your dear comes home or any other, ahem, sensitive cases! Do not give it to kids!